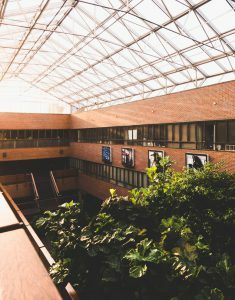 Led by Dean Diane McFarlin, the College developed its reputation for excellence by creating curricula that combine conceptual and theoretical instruction with skills training so students have the opportunity to apply what they are learning in professional settings. Professional and practical opportunities are key components of a productive learning experience for students in journalism and communication fields and contribute to the College’s national rankings. Renowned faculty members in the College provide a balance of academic background and practical experience related to their specialties. The College offers bachelor’s degrees in advertising, journalism, public relations and telecommunication, and enrolls approximately 2,300 undergraduates in these fields.It offers master’s degrees and doctorate degrees in mass communication and enrolls approximately 200 students at the graduate level. The College also offers a range of online master’s degrees taught by renowned faculty and professionals. 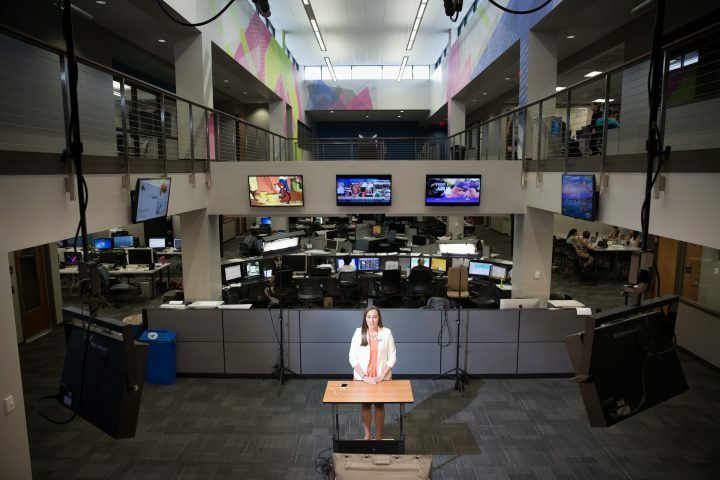 The College excels in providing hands-on experience for journalism and telecommunication students — working alongside professionals — in the Innovation News Center and with our seven media properties, including the local PBS, NPR and ESPN affiliates. Advertising and public relations students get experience working with national and regional clients through The Agency, our strategic communication agency led by professionals and run by students.